Slip and glaze applied to miniature greenware tea bowls. 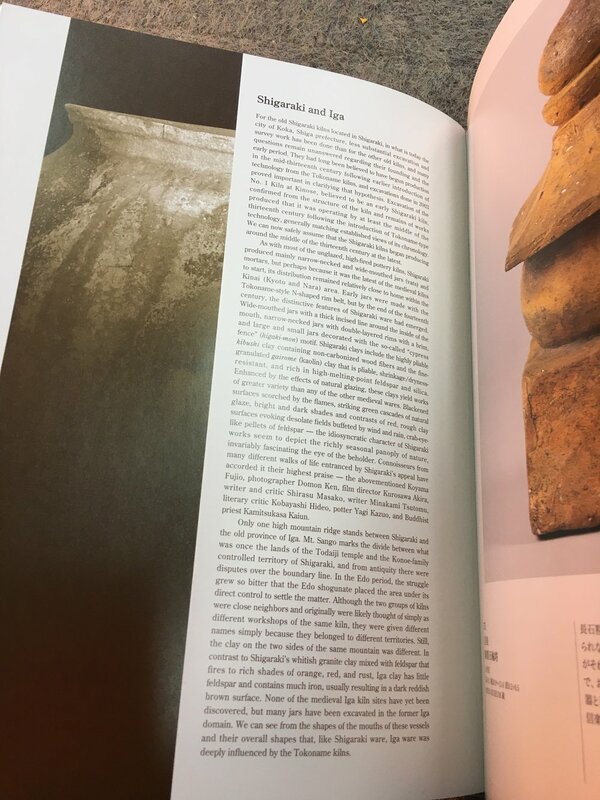 Found very good book on the six historic kiln sites of Japan and medieval wares ... above, Shigaraki ware with wide mouth and no glaze: the colour comes from heating the unique clay body (incl high levels of feldspar) and the effects of wood firing. Enjoying working with chopped pine stick from the Anagama pile and bamboo.